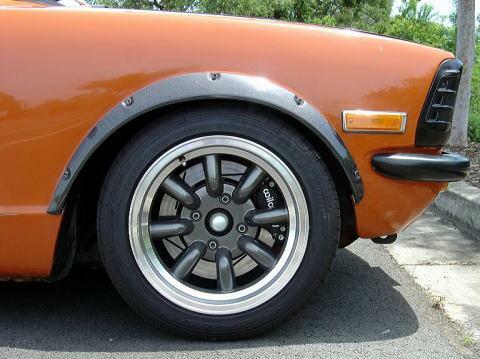 These rivet-on flares are made in Japan by Restored. 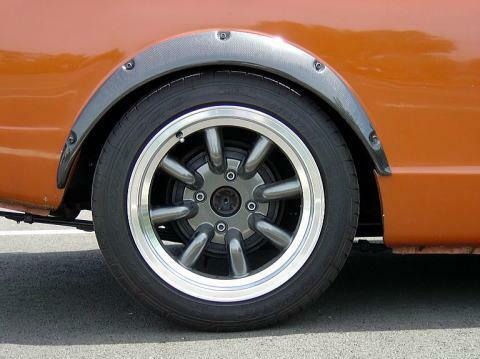 They are designed for the KE25/TE27 Corolla/Sprinter shape. 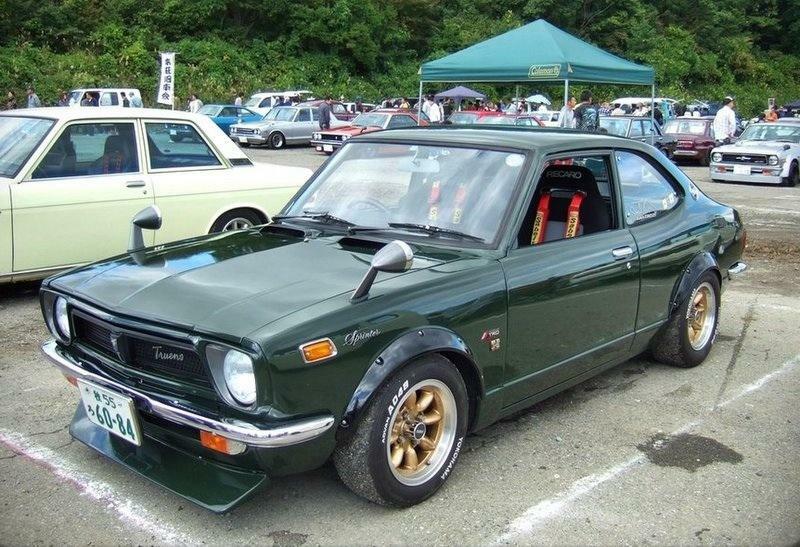 With slight modification they will fit TA22, Datsun 1200 and various other small cars.